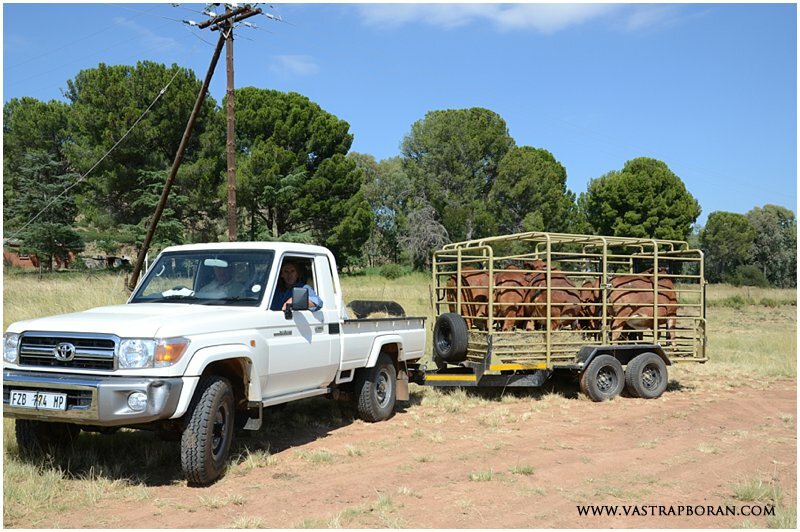 It’s been an incredibly busy two weeks here at Vastrap with non-stop cattle work on the go. We were notified very late that our 2013 heifers and 2012 bulls would be inspected by the Boran Society yesterday. Before animals can be inspected they need to be branded so Quentin took a full three days working 60 bulls and 100 heifers in heatwave conditions! On Friday, Gideon Botha came to do our inspections, which all went very well. In the meantime, we had booked the vet to do pregnancy tests on all our stud animals, which took a whole morning. Fortunately, we have been blessed with a very good year and a conception rate of 94%, which is well above last year. Nothing has changed in our cattle management so it’s amazing to see how sensitive fertility can be to weather and grazing conditions. 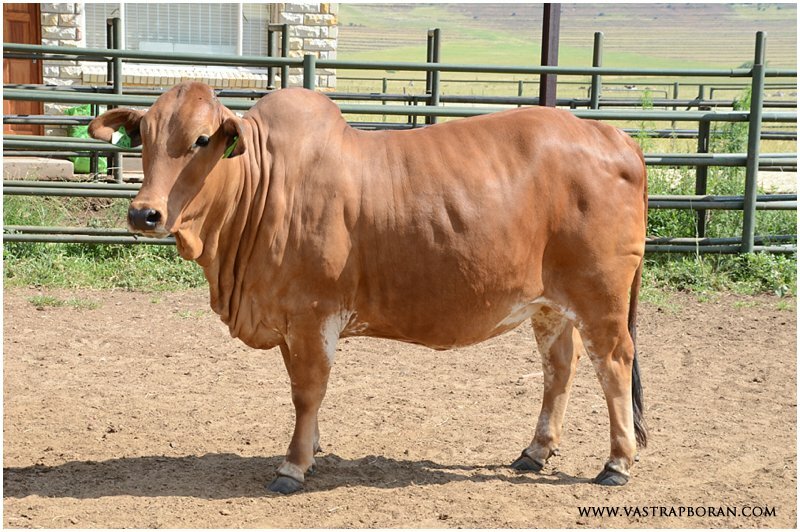 Another morning was taken up by the annual evaluation and grading of our pregnant heifers and 3-year old bulls by our panel of independent breeders: Stompie Olivier, Theo van Zyl and Rikus Stander. They also helped us chose the animals we will take to the Boran Expo at Kroon Boma on 13 March. 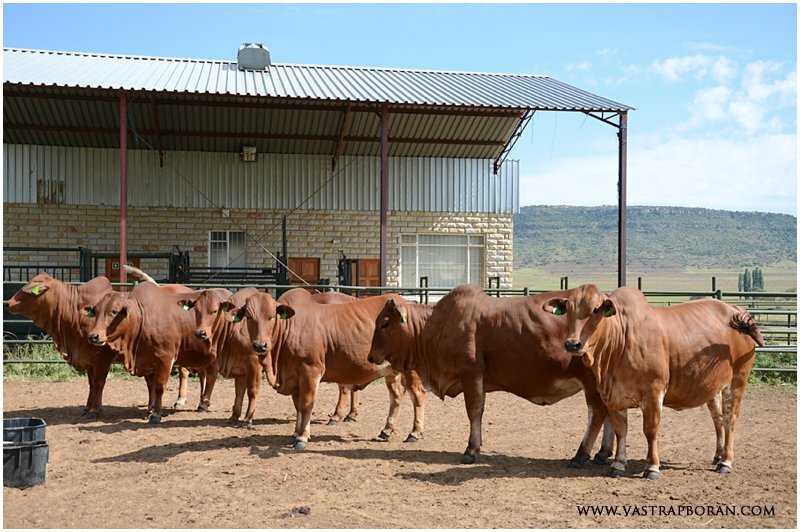 The selection process for the bulls that will be sold at the 2015 Vastrap Auction is now complete since all the performance testing was done last year. We are very excited to see which bulls make the final cut, with only 15-20 out of an original group of 50 going on sale. In between all of this we’ve been visited by three different groups of breeders interested in seeing our animals. This is the part of cattle breeding that we love, meeting new people and sharing our passion for the Boran. We were particularly happy to meet CJ van Rhyn and Christo Germishuys of Luca Boran in Mpumalanga for the first time. 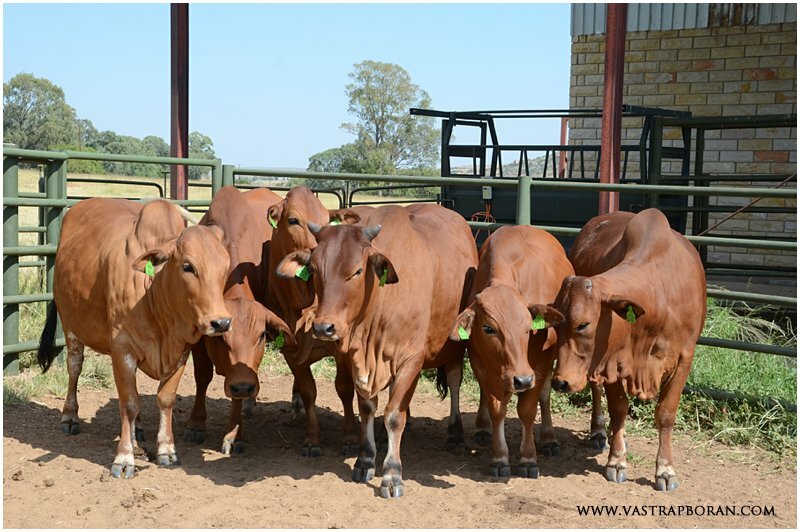 They came to buy six pregnant 2012 heifers and left with a beautiful parcel of animals. The selection process was open and transparent. We took all of our 2012 heifers and sorted them into age groups and breeding lines. Quentin then removed ten of his favourite heifers that were not for sale. CJ and Christo then had the pick of the rest and in all honesty, there was very little separating the six that they finally chose and the ten that we kept. 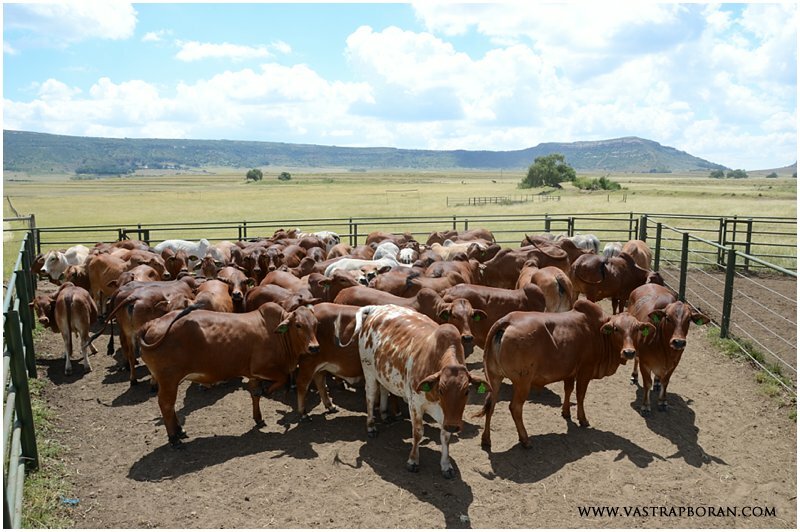 After spending some quality time with our herds and staying the night with us at Vastrap, they left very happy and satisfied customers. One of the other visits, by Tinus Bessinger and Evan de Jager of Groenland Borane culminated in the sale of one of our stud sires, Goliat MHB 06-47. 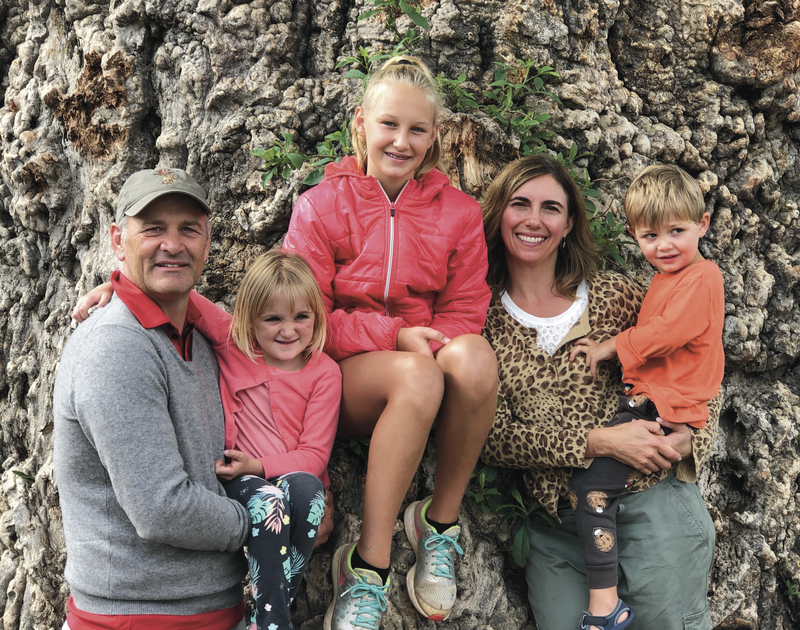 It was great to have them visit for two days so that they could thoroughly inspect Goliat’s offspring and the impact he has had on the Vastrap Boran herd. Farewell Goliat, we hope you will work very hard and make a big impression at your new home! Six stunning 2012 heifers chosen by Luca Borane.